If you have kids, you know how quickly their space can become total chaos. They are masters of mess and often tend to have quite a few hoarding tendencies as they accumulate toys, clothes and other random stuff over the years. 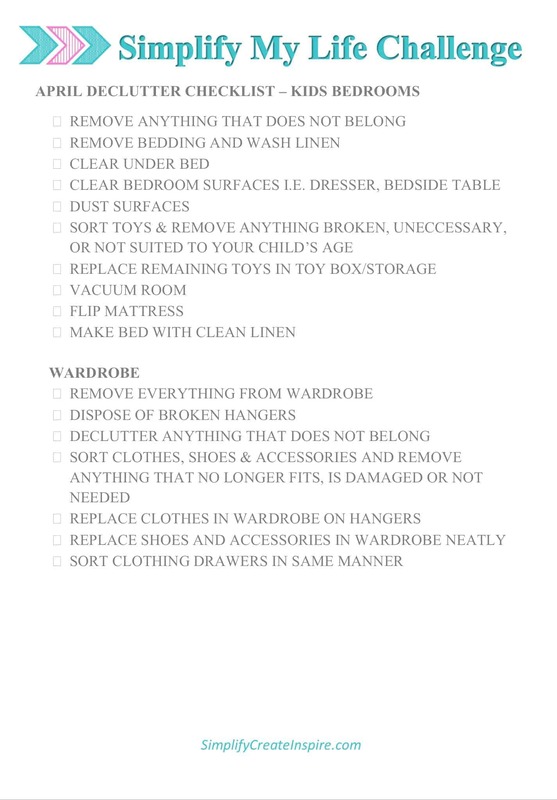 It is little wonder when the time comes to declutter kids bedrooms, it can be a big job. One area of a kids room that definitely needs a regular overhaul is the wardrobe. They grow so fast that it can sometimes only be a matter of months before they are moving through clothing or shoe sizes. This means excess stuff that does not need to be in there. Toys are much the same. Last month they may have loved My Little Pony or Thomas The Tank Engine, but this month they may have moved on to some new gadget that is more age appropriate and entertaining at their fast growing age. Not to mention all the strange broken parts that accumulate amongst the toys. 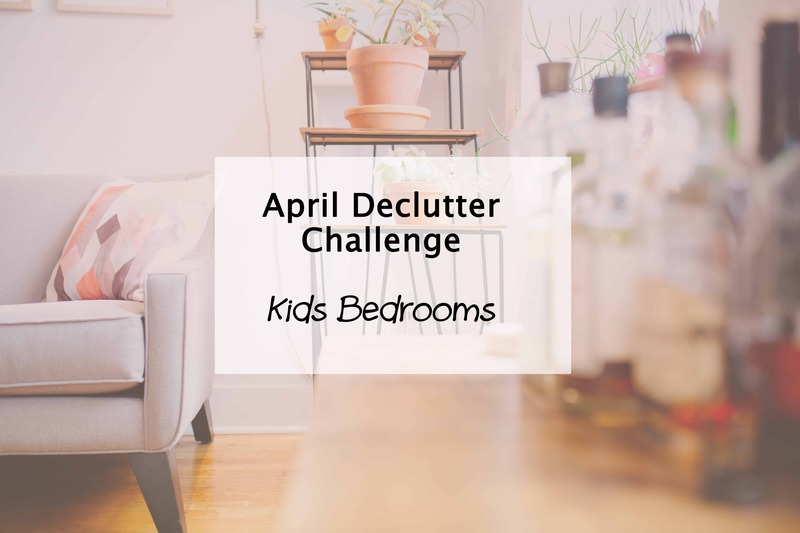 This month’s checklist is split into two sections – the bedroom and the wardrobe since both are equally large jobs, just like last month with the main bedroom declutter. You can also check out my daughter’s bedroom makeover from spare/junk room to toddler room fit for a princess. Minimising is a great method in kids rooms… less stuff means less mess. Teach kids good habits to avoid them dumping stuff in their room or leaving them untidy. Build habits early to have your kids tidying their own space. Keep the closet organised by season or size to make it easier to declutter more often. Minimise the amount of decorational and unnecessary furniture items in the bedroom – simple is best. Invest in some good toy storage systems, such as stackable storage tubs or under bed sliders. Otherwise pop over to the challenge page for links to other declutter, organise and simplify tasks as part of the Simplify My Life Challenge. It’s not too late to join in. We’ll be going all year long! Great tips, thanks Holly. I really need to declutter my little guy’s wardrobe – he’s grown a heap in the last month or so but I haven’t had the heart to pack up all his tiny little shoes and outfits yet… Maybe next weekend!! It can be so hard to accept them growing up. I’m about to pull all my tiny girl things out for the next one but dread the day I have to pack them up a final item. I will definitely be following along with your April project. I need to find a good system for organising Lego. It’s a nightmare in our house. I need to get into my kids bedroom. They are driving me nuts, and just need a good mother hand to clear out some rubbish. I am yet to tackle the toy box in the lounge room. It’s full of so much random stuff. My 2 year old is a hoarder already haha kids are such collectors sometimes!